I have been interested in photography for nearly as far back as I can remember. (Although the distance to my youth and the length of my memory seem to be traveling in opposite directions.) In high school I took all the photography classes I could. My professional career began as a copy camera operator for an Iowa newspaper while attending collage at Hawkeye Institute of Technology majoring in Commercial Photography and Photojournalism. After graduating I went to work as a photojournalist for another Iowa paper, the Cedar Rapids Gazette. I worked for the Gazette from 1990 - 1994 and then continued to string for them for a couple of years after that. In 1994 my wife Suzanne and I began traveling around the country, she as a traveling physical therapist and me doing what I truly love, travel and landscape photography for publications. 1. I continue to work as a travel and landscape photographer for various publications across the country. 2. I teach photography at the University of Wisconsin - Platteville, at Shake Rag Alley in Mineral Point, Wisconsin, and most recently the Dubuque Art Center in Dubuque, Iowa. 3. I do gallery and fine art photography for galleries and museums around the country. In Dubuque, I am represented by Outside The Lines Art Gallery www.otlag.com. 4. 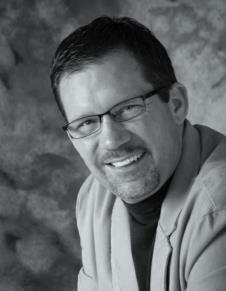 I work as a commercial photographer with Ken Smith, owner of Design Photography in Dubuque, Iowa. designphotographyinc.com Ken's business is primarily location, architectural photography. Although photography is my profession it also remains my passion. A passion that I hope you find reflected in my images.